Do you want to find out what VERY SIMPLE sounds you can start using in your English conversations in order to sound more American? People will always use filler sounds and words in their speech such as WELL, YOU KNOW etc.! So, is it not better then to do it the right way? Any questions or comments – post them in the comments below and I’ll respond to them ASAP! How about “you know”. ? Does it have the same effect of “and um..,? I would personally use YOU KNOW? to finish off a sentence, whereas AND UM… would be a way of starting a new sentence. Having said this, I have to admit that YOU KNOW? can most definitely be used just like AND UM… – to buy more time in between sentences. Next post: Accent Reduction Doesn’t Happen Overnight! 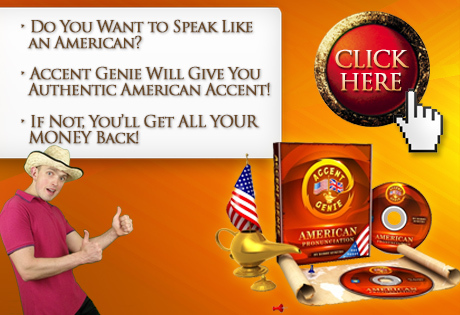 Previous post: See How I’m Practicing My American Pronunciation Using Accent Genie!